This Play N Ball-Caitec/Paradise is a big, chunky wood toy that hangs down from a strong plastic chain. 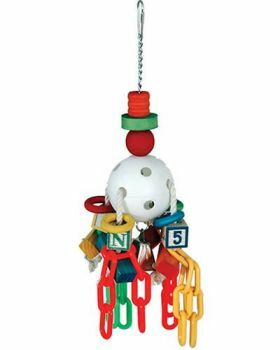 A whiffle ball and cotton rope add even more texture to play with and keep your bird intrigued. Great for medium to medium large parrots. Notify me when Play N Ball-Caitec/Paradise is in stock.